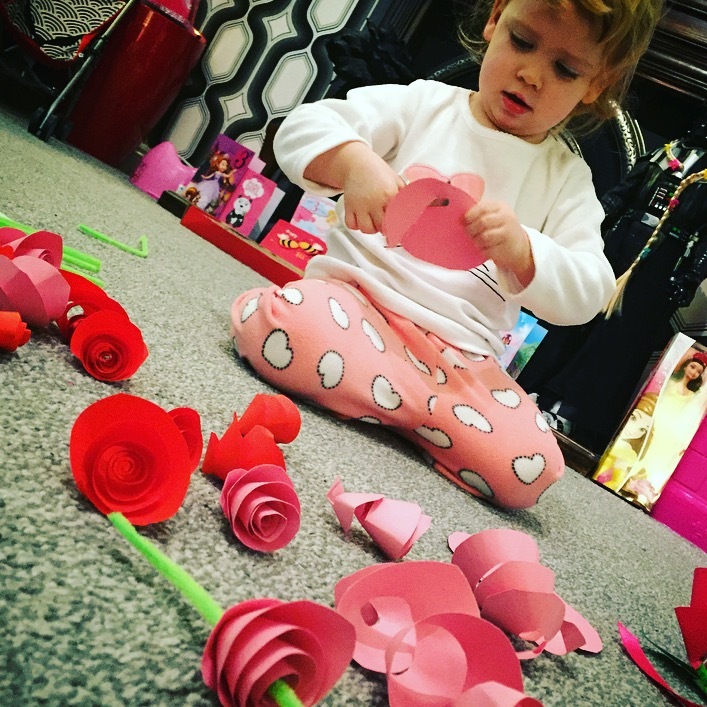 Dear mummy, Valentine’s Day is coming up and I’d like to make something special for you and daddy. 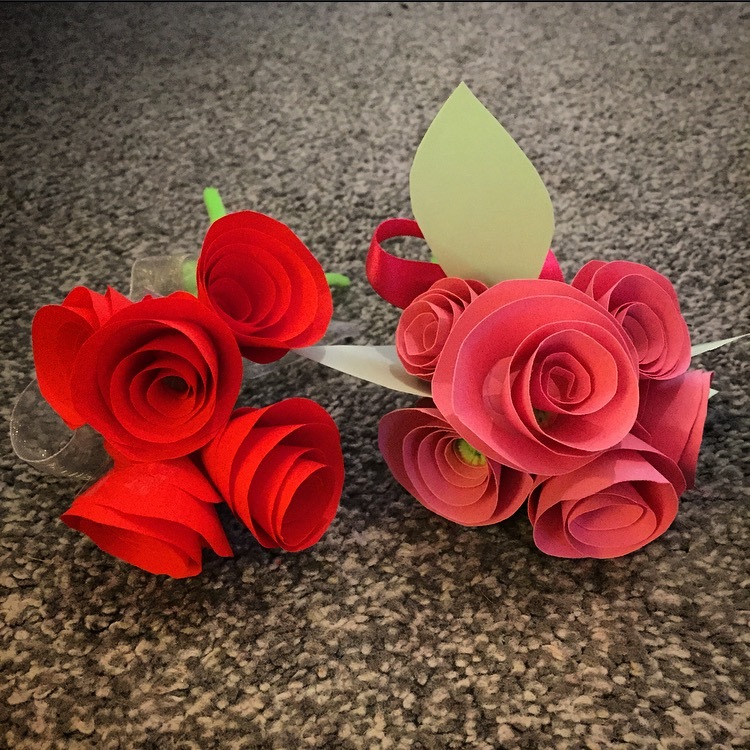 I can’t afford to buy flowers from the shops with my pocket money, so I have decided to make some paper flowers instead. 1) Select your coloured paper. 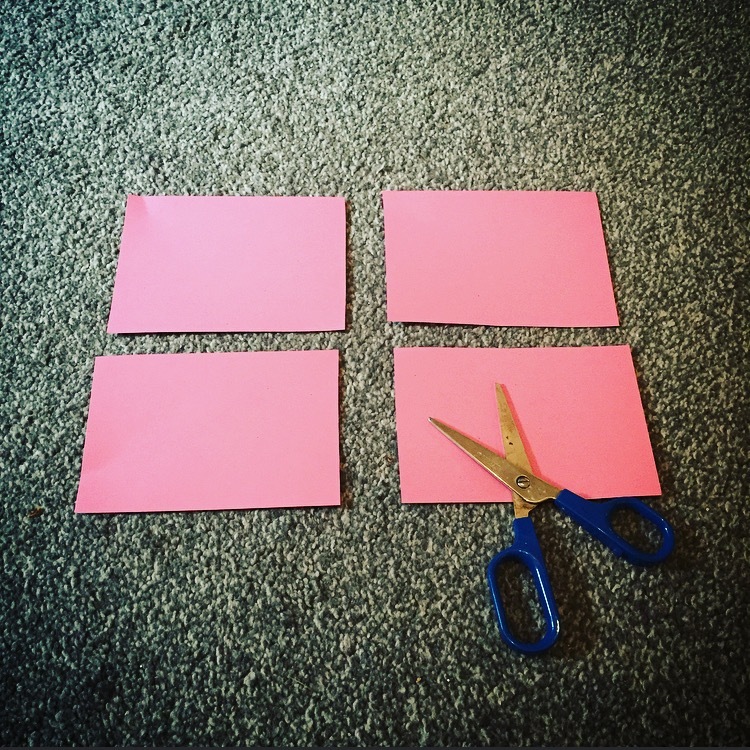 We used a mixture of red and pink card and paper. 2) Cut the A4 sheets into quarters. This makes it a bit more manageable for small hands. 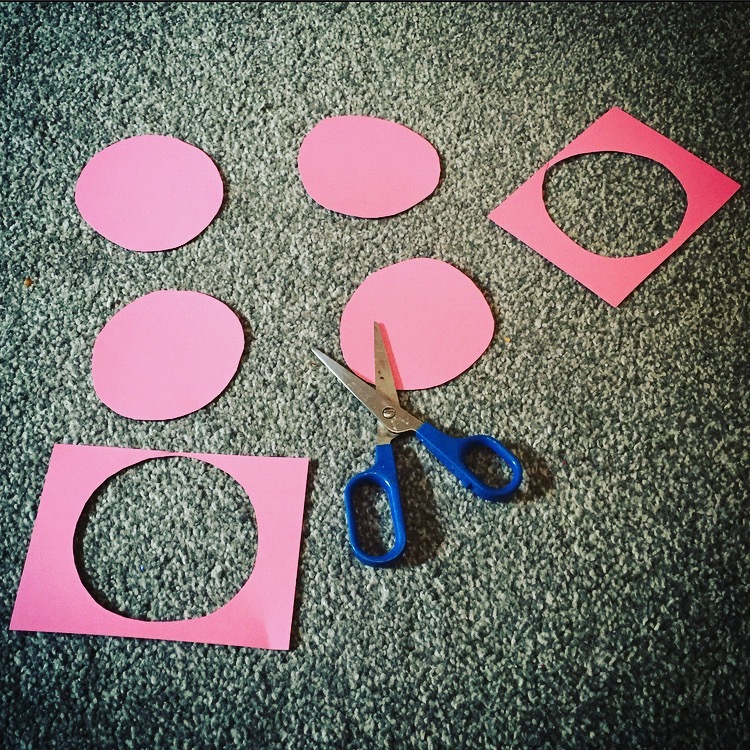 3) Start cutting out circles from the quarters. They don’t have to be perfect, we had rough circles and funny shaped ovals! The smaller the circle the smaller the flower. 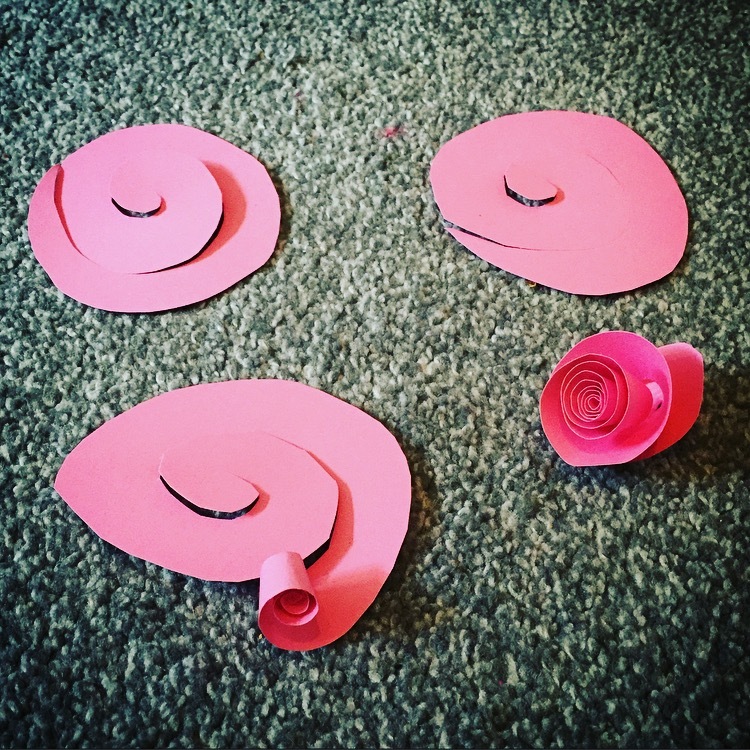 4) Once you have a good number of circles, half a dozen should be good to make a bouquet of flowers, start to cut spirals out of them. This can be quite tricky for toddlers so I had an adult give me a hand. 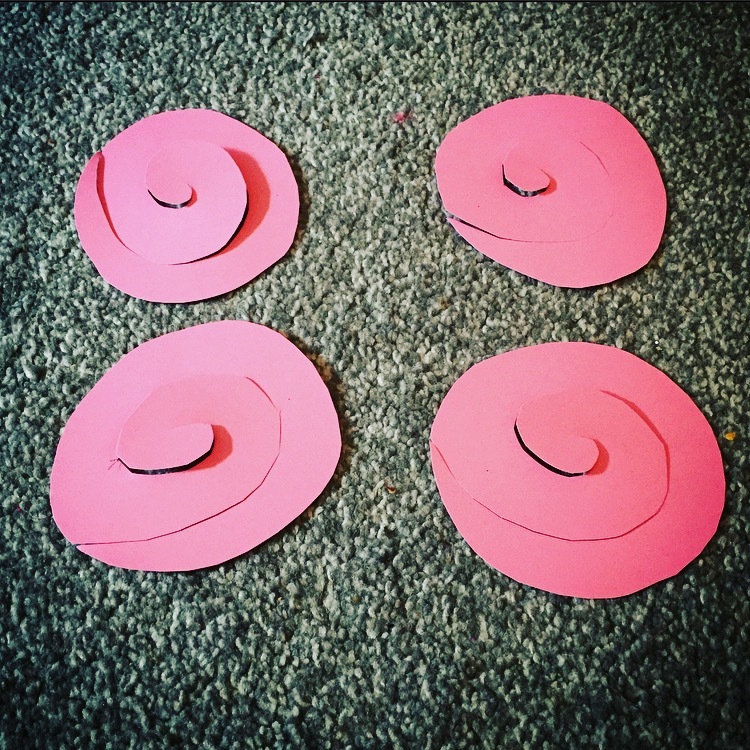 5) Once the spirals have been cut, take the end of the curve and slowly start to curl them following the spiral shape. Roll the spiral up, working from the outside edge into the middle. 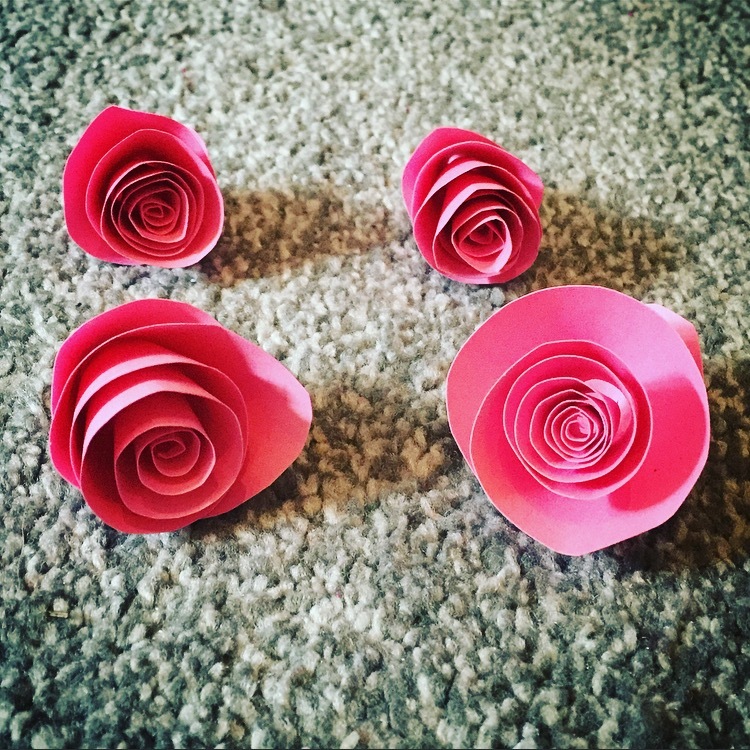 6) You’ll see that they start to curl inwards and create a lovely rolled rose shape! Allow the flower to loosen in your hand to see the full shape. 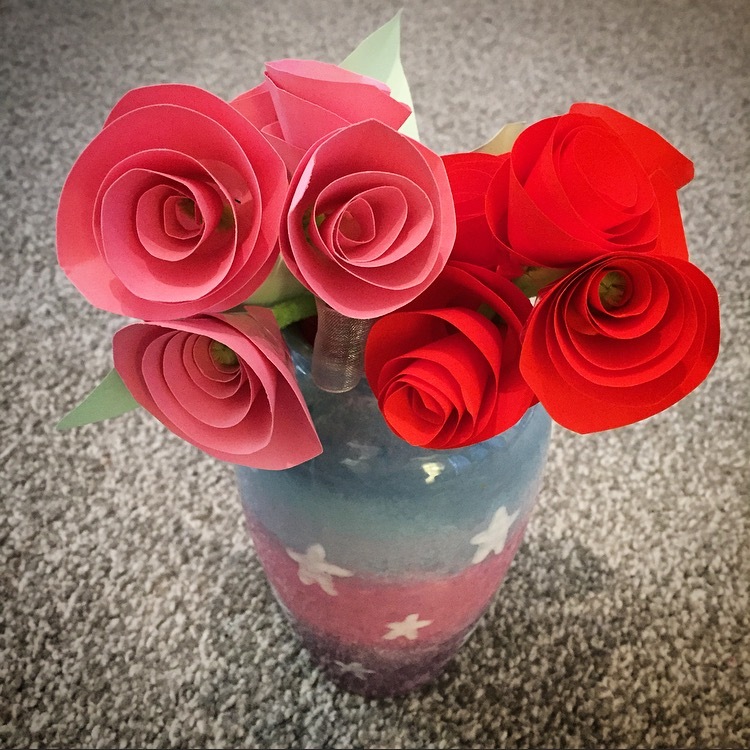 7) Grab some pipe cleaners, we choose green for the flower stems, and feed them through the centre of the loose paper roses. 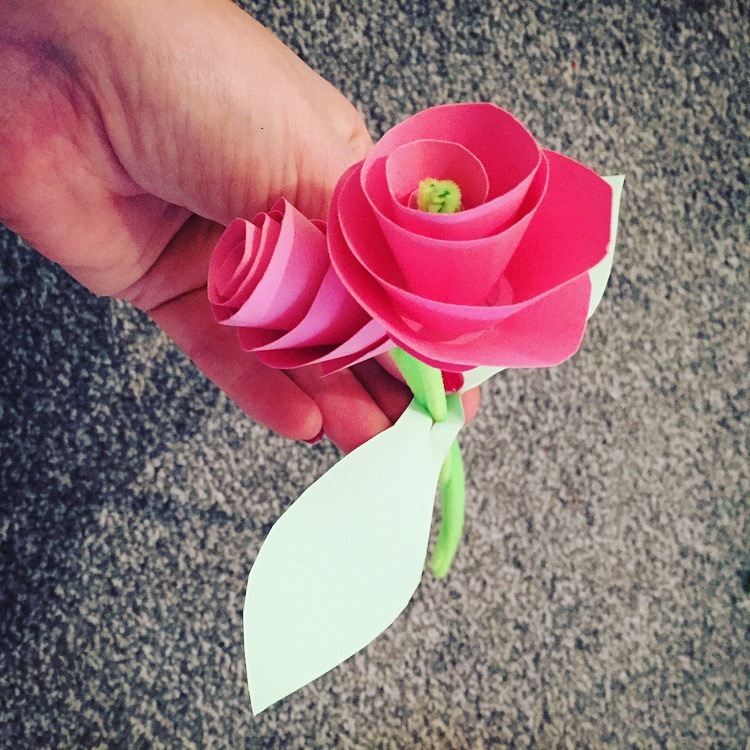 8) One by one, use sellotape to secure the paper rose to the stem and close the spiral. This should keep the paper roses in place. 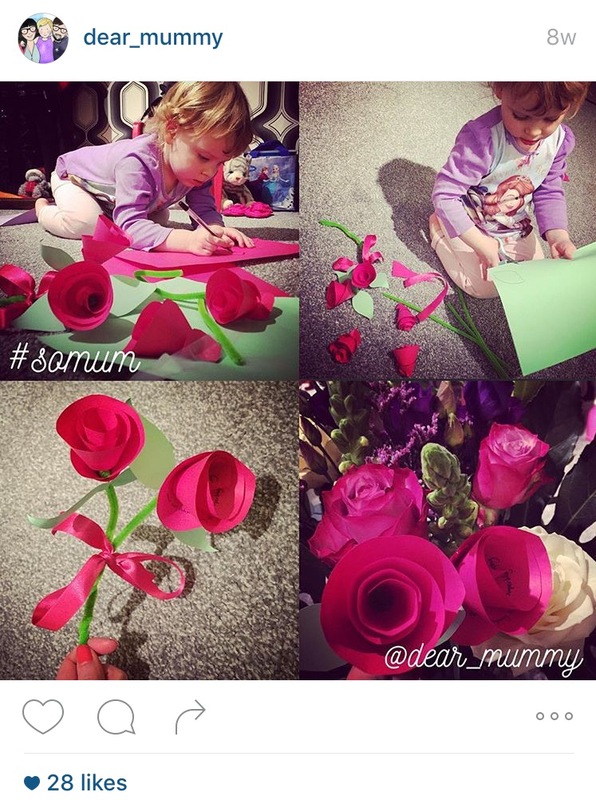 9) Bunch all the paper roses together and secure with some ribbon and voilà! You can decorate them further by adding glitter and paper leaves. I hope my parents like them! 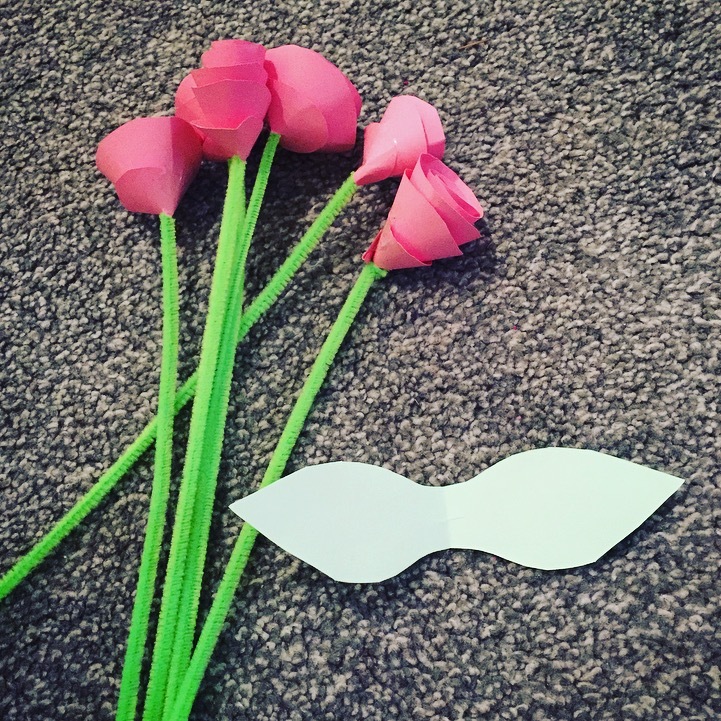 A really simple paper craft to do at home with children. Oh, I love these, such a simple idea, but look fab! I must show my children. 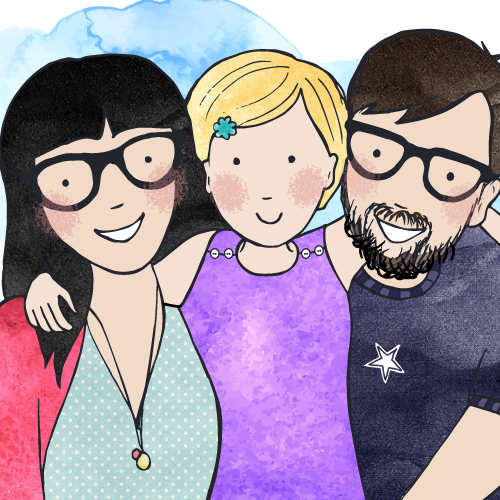 Super fun activity to do with the kids this week. Thanks for sharing!